Sometimes Variety receives really time-sensitive or emergency requests. Maybe it is a helmet for shaping the head of an infant and weeks matter. Or, maybe it is like Layna’s situation, where the family is lacking a safe way to transport her. When it comes to acting fast, Variety has amazing community partners who also step in, like the Greater Kansas City Community Foundation. Together we funded a van modification so that Layna could travel securely and have a chance to experience more in life! To become a Variety KC partner, contact us through info.varietykc@gmail.com. Five-year-old Izabella lives with her grandmother and uncle who do the best they can to help her progress in school despite a diagnosis of autism. Izabella’s teachers and therapists suggest an iPad to help with 24/7 communication and alleviate some of the frustration that some times leads to biting. She uses an iPad and apps at school and is making great gains. Keep it up Izabella! Variety KC has an iPad for you. Doesn’t every child deserve a voice? Help us make that possible, visit www.varietykc.org. 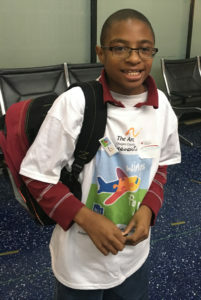 At the age of three, Justin was diagnosed on the Autism spectrum. Since then his parents have pursued every way possible for him to learn and function. He is a quiet fellow, likes movies, the Power Rangers and Ninja Turtles. He doesn’t work on the computer much and his teachers believe that a tablet could encourage technology , assist with homework, and give him some much needed self-confidence. Justin? We’ve got you buddy! So many kids like Justin would benefit from technology that is available, but just out of reach. Help Us to help them, visit www.varietykc.org. 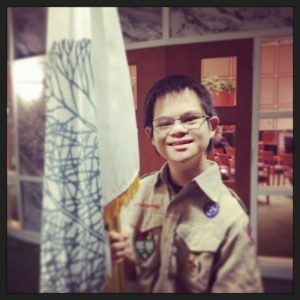 Eric is a Boy Scout, competes in the Special Olympics, and has volunteered for more than 20 non-profit and civic organizations here in KC! Each year his scout troop has a bicycling campout at the Katy Trail. A tandem bike would allow him to join in the campout and get important physical activity at home. Variety KC believes ever child should enjoy the childhood ritual of riding bikes – so Eric, get ready to hit the Katy Trail! Want to help other kids Be Active, Be Social and Belong? Email info.varietykc@gmail.com. You can see by the smiling faces in their photo, Jacob and Brandon are cared for by a proud and loving mom! 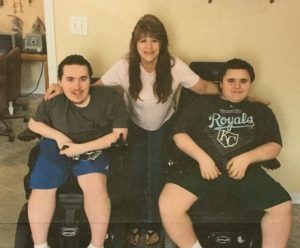 The brothers have Duchenne’s Muscular Dystrophy and need assistance with most daily living tasks. A Hoyer lift would make it easier and safer for their mom to transfer them, but it is not covered by insurance. It is hard enough caring full-time for two young men, Variety wanted to lessen that load and make their environment safer. Variety donors, you have “lifted” this family! 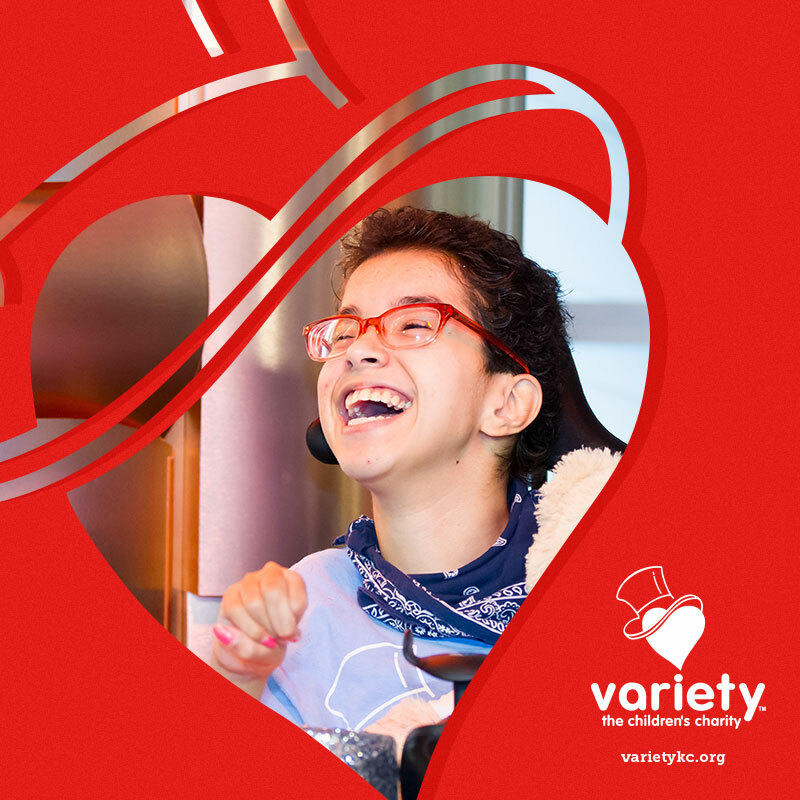 Join us in helping more….www.varietykc.org. Little Harlie uses an Accent 1000 communication device and she loves it! For the first time, she can communicate what she wants or needs. The device has a robot voice and a Vocal ID voice would actually give her a personalized voice. 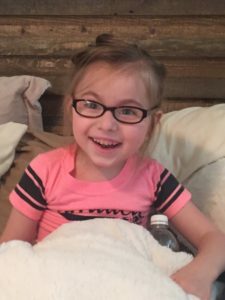 This would help teachers identify who is speaking, it would help in social situations because she would have a unique voice like other kids….and best of all, her parents would hear her say “mom,” “dad,” and “I love you” in a voice that would truly be Harlie. 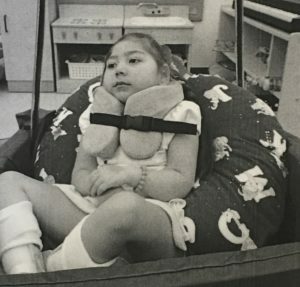 For a family overwhelmed with the expenses of raising a child with special needs, the Vocal ID is not something they can do right now – but Variety donors can, and did! That’s because Variety believes every kid should Be Active, Be Social, and Belong. Harlie’s new voice will help her belong. Won’t you help other kiddos like Harlie? 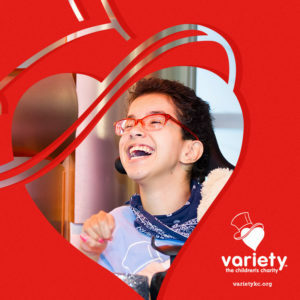 Visit www.varietykc.org.